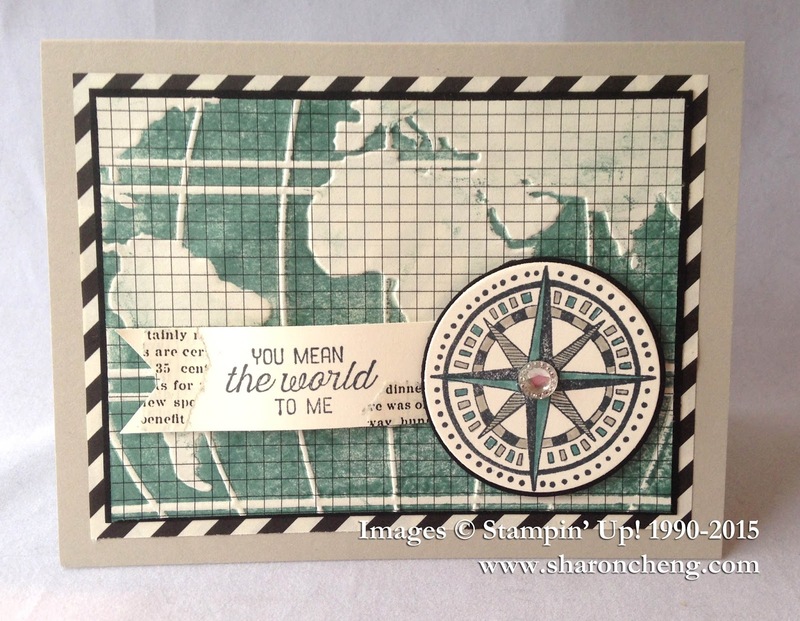 Going Places is the theme for many coordinating items in Stampin' Up! 's Occasions catalog which is available starting January 5, 2016. I decided to combine the first two December Splitcoaststampers Creative Crew Challenges with the Going Places theme. The first challenge was to use the Typeset Specialty Designer Series Paper. This is a text-weight double-sided paper and one of my favorites in the annual catalog! This card uses the Going Global stamp set (140581 $8), World Traveler Embossing Folder (138289 $7.50) and the Typeset Specialty Designers Series Paper (133704 $13). I inked the embossing folder before running the grid paper design from Typeset through the Big Shot. 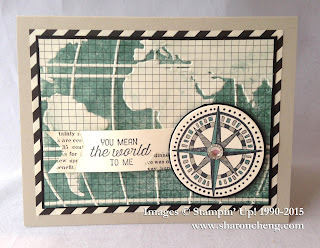 The compass was colored using Lost Lagoon and Sahara Sand Stampin' Write Markers. Notice how I added a little bit of the text paper to the banner? And the diagonal stripes were a fun way to add a mat to this card. For the second challenge we were asked to use our favorite ribbon. 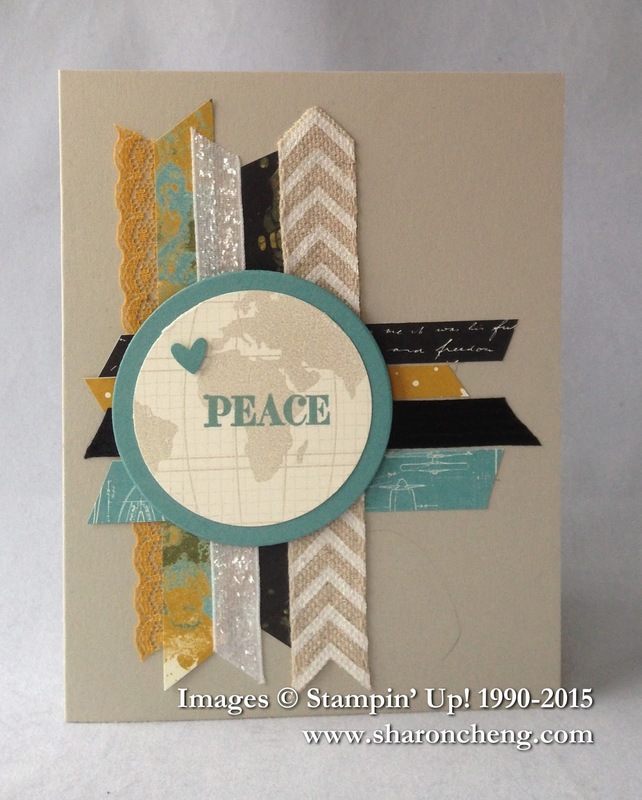 I used strips of paper from the Going Places Designer Series Paper Stack (140581 $8) along with ribbon. Is it a surprise that I have more than one favorite ribbon? Can you find the 4 different ribbons that I used? There is the Dotted Lace Trim in Delightful Dijon, White Glitter Ribbon, Chevron Ribbon and Stitched Satin Ribbon in Basic Black. The inks I used with both cards are Lost Lagoon and Tuxedo Black.